To be sure, the Austrian school of economists enunciated similar views of cost decades before Buchanan, but Buchanan advances his theories by attempting to integrate his views into the orthodox classical and neoclassical framework. When he published the book in 1969, Buchanan hoped that other scholars would follow him in researching the opportunity-cost concept and its applications. 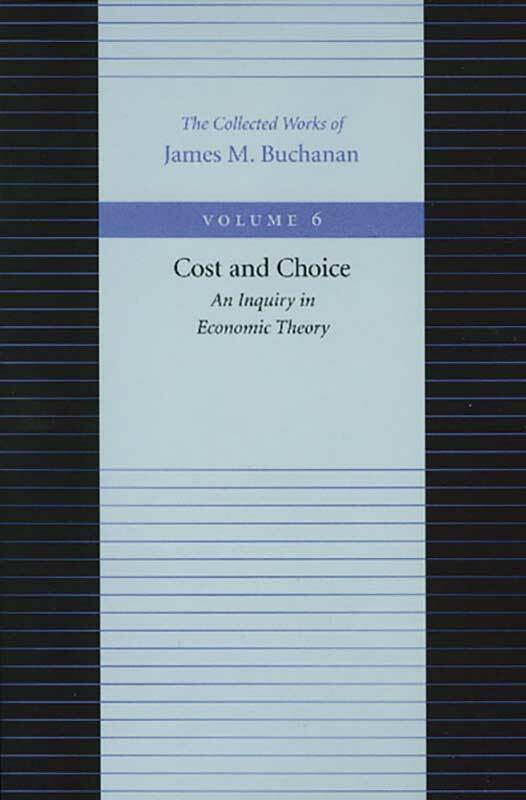 Unlike the theater of public policy, where Buchanan’s work is widely celebrated and influential, his important work on the issue of cost and choice, so clearly explicated in this volume, has done little to move the mainstream of economic thinking in the thirty years since its original publication. It is hoped that this new edition of Buchanan’s seminal work will place Buchanan’s groundbreaking ideas in wider circulation.